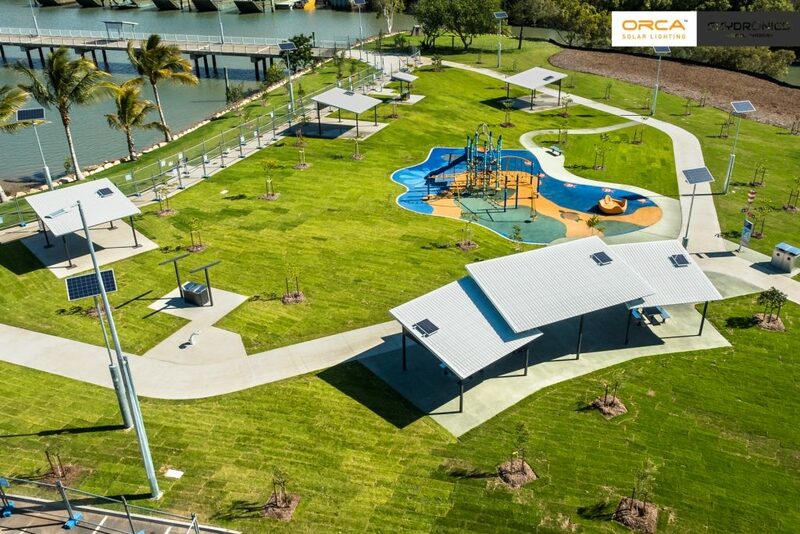 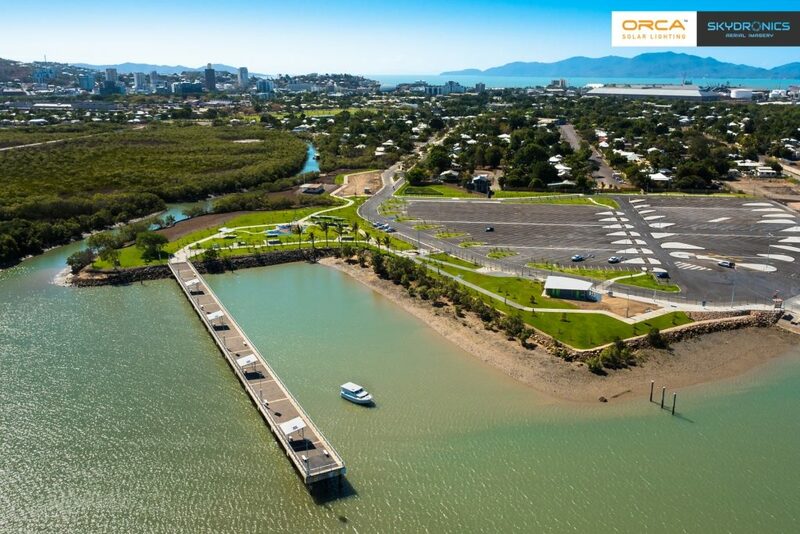 The $25 Million Townsville Recreational Boating Precinct provides the North Queensland recreational boating community with a world-class sheltered all-tide facility. 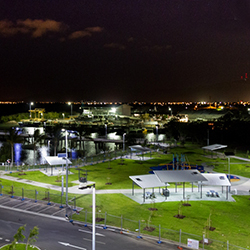 This joint venture between Townsville City Council, The Department of Transport and Main Roads, and Port of Townsville Limited comprises 16 boating ramps, with floating walkways at each ramp, 360 parking spaces for vehicles with trailers and huge parkland with barbeque and picnic facilities, much of it lit with solar lighting. 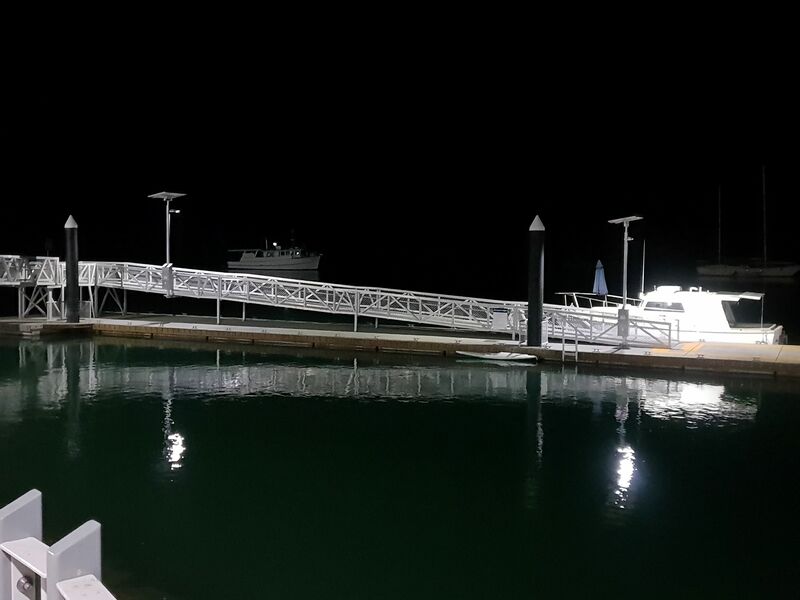 35 x Vertex® solar lights, providing AS 1158 3.1 P3 lighting all night. 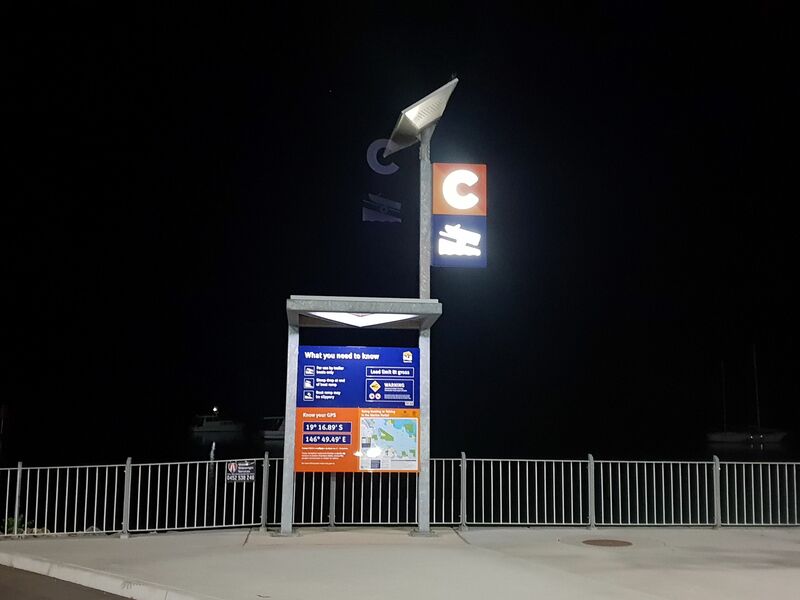 The Cree LEDway light fixtures are mounted at 6 meters (poles supplied by others). 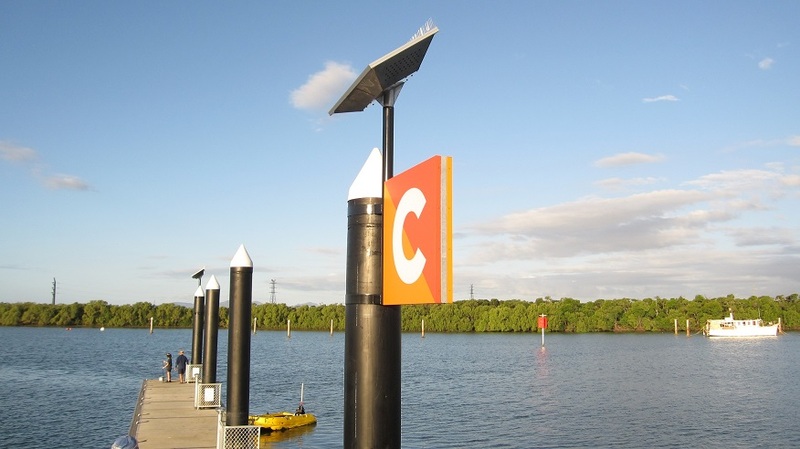 8 x Vertex® pole top solar engines to light the pontoon flags and information boards. 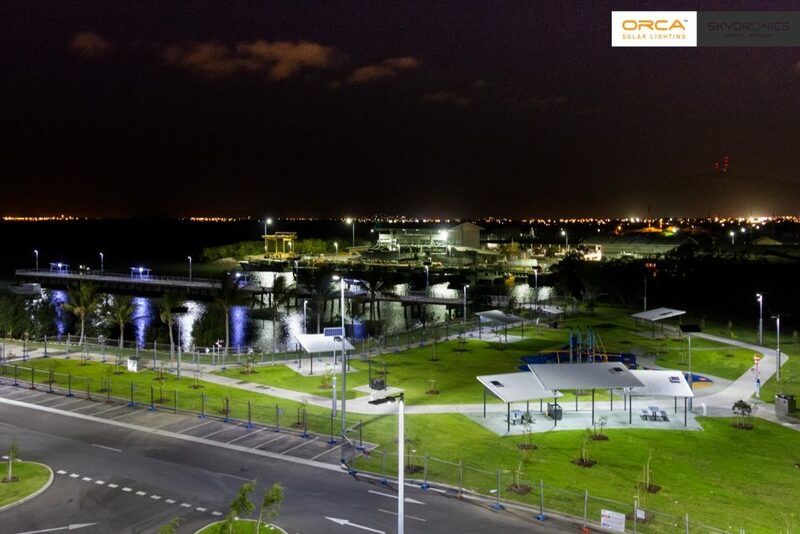 Solar lighting for six picnic shelters. 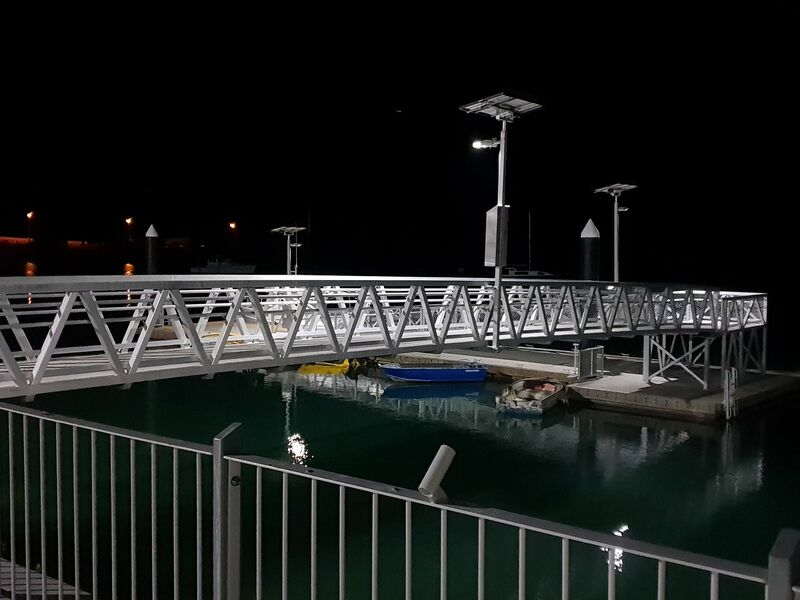 And also supplied 6 x Vertex® solar lights for the gangways, and 12 x SBL solar lighting bollards for the pontoons.